The Abstract Flower Necklace is an eye-catcher. Asymmetry gives this design a unique playfulness. It’s a soft shape that blends well with scooped necklines and looks striking against angular ones. At 3” high and 4” wide, it makes a bold statement, but it’s light enough to wear all day long! Yarn - Lion Brand Wool Ease Thick and Quick in your choice of color, or any bulky to super bulky weight yarn. 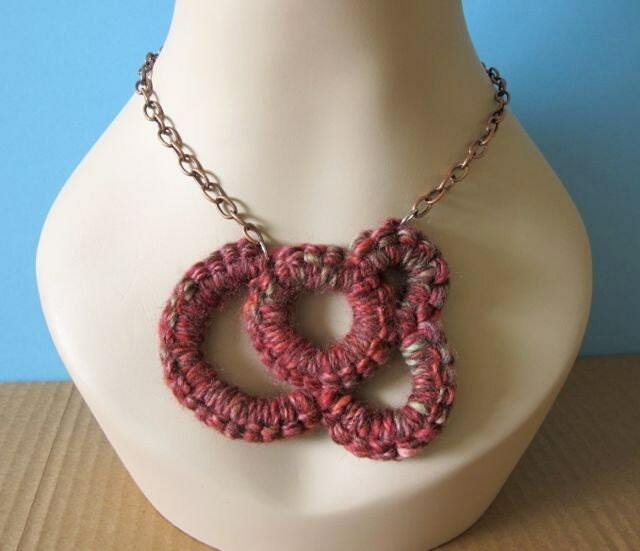 The necklace pictured on the cover page was tatted in handspun yarn carrying four strands to create the desired weight the second necklace was made using the Lion Brand Thick and Quick in the color Citron. This pattern comes with a link to my youtube channel where you can find tutorials on Oversized Needle Tatting. 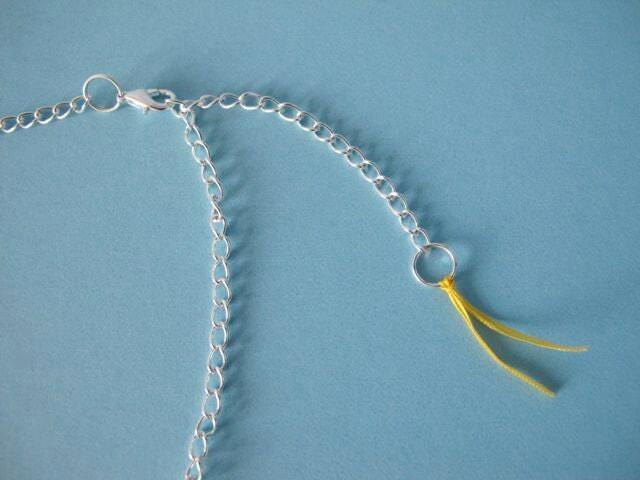 It also comes with an alternate neck chain idea using plied ribbon. 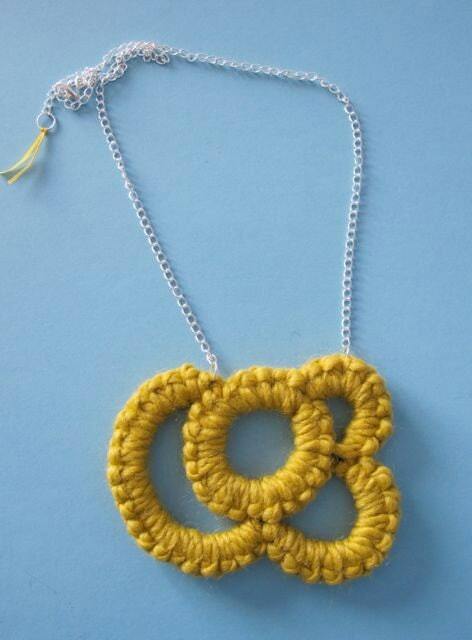 This purchase is for the Abstract Flower Necklace pattern only. The Necklaces are sold separately. I hope you enjoy making your own Oversized Tatted Necklace!